I moved from Washington, D.C., to Silicon Valley roughly a year and a half ago. Since then, I often tell people that the main difference between the two is that they run on different currencies: Washington runs on power, the Valley runs on ideas. Meetings here start with a simple prompt, one as innocent as “I just want to pick your brain.” Prior to moving here, no one had wanted to pick my brain without a very specific reason. But people in the Valley crave access to ideas — any and all of them. So here are a few ideas and, yes, hopes boldly issued as predictions for journalism in the coming year. These are all picked from various conversations I’ve had in and around Stanford. They’re also in line with my overarching prediction: that journalism will return to its roots of service to and empathy with the community. It is not possible to simultaneously claim a community is a valued participant in the news-gathering and synthesis process and to bury their work underneath the story in comments sections or segregated in silos. Comments are already beginning to rise from the basement of the news well. But the practice of featuring readers’, viewers’ and listeners’ content alongside that of full-time journalists will soon become the norm rather than the exception. This means the number of dimensions on a news story will continue to grow, fed by traditional and non-traditional sources alike. Medium and The New York Times are already elevating comments to accompany the main body of a story. Meanwhile, the Knight Foundation-funded New York Times/Washington Post/Mozilla collaboration signals, I hope, the death-rattle of the “user-generated content” label. The tech sector and journalism have something in common: a diversity problem. We now have a date, 2045, for when white people are predicted to become a minority in the United States. The number of minorities in newsrooms, still remarkably low, will need to rise even faster than the population’s rate of change if news organizations want to remain relevant. Coverage of the events in Ferguson and now protests across the country have yet again highlighted the need for more diverse perspectives in the nation’s newsrooms. Change is happening, but not fast enough — this includes racial, cultural, gender, and socioeconomic diversity. The Washington Post narrowly missed having an all-male masthead this November. In the same month, The New York Times’ public editor Margaret Sullivan highlighted the paper’s coverage of the über-wealthy, and the complaints among some readers that it was out of touch with the vast majority of Americans. She concluded that the news organization’s coverage of expensive foods and real estate had “nothing to do with the Times’s highest purpose.” If that’s not a call for disruption, I don’t know what is. Journalism has always relied on empathy, the ability of one person to see the world from the perspective of another and to bring it to a distant audience. But declining budgets have made it more difficult for journalists to be with the people they cover, and that means that empathy between journalists and subjects is weakening. I predict that a new kind of professional will fill this gap — a hybrid of journalist and activist, or “jacktivist.” It may sound cringeworthy to veteran journalists, but I hope they’ll bear with me. From solutions journalism to The Last Graph (a project being run by my friend Ben Connors and for which I serve as an advisor), the path between the story and someone’s ability to act on it is getting shorter. This means news outlets will have to do more than merely report what’s going on. Journalists will have the added responsibility of giving people a pathway to act, to improve their lives and the lives of others. Again, I understand this may seem anathema to some, but people today need more than headlines and stories. They need more than data, visuals, and explanations. They need more than journalism. They need an empathy-driven service to improve their lives, their communities, and our world. 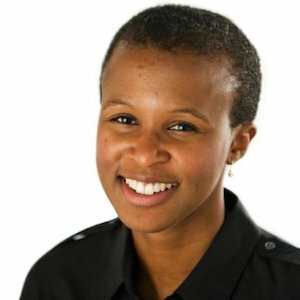 Emi Kolawole is the editor-in-residence at the Hasso Plattner Institute of Design at Stanford University, better known as the Stanford d.school. Dec. 16, 2014, 12:39 a.m.